Published by the Costa Rica Star on March 10, 2014. Used with permission. 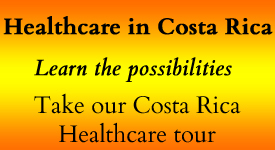 UPDATE: please click here for more information about Coopenae in Costa Rica. Thank you to Asdrubal Zamora Corrales for the additional insights and information. Last week, the banking interest rate in Costa Rica dropped to its lowest level since July 2008. The “tasa basica pasiva” is set by the Central Bank of Costa Rica and it is a closely-followed economic indicator similar to the prime rate on Wall Street. 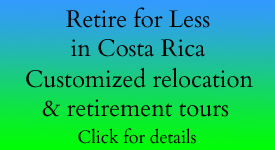 The recent drop to 6.45 percent extends the declining trend for interest rates in Costa Rica, which -to the chagrin of term deposit investors- has been taking place since 2003. 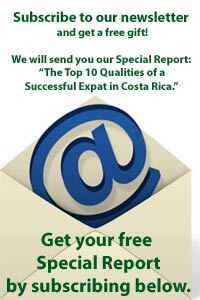 The banking interest rate in Costa Rica had been holding steady at 6.5 percent for the last few weeks. This widely-used and important economic indicator serves as a guide for banks to offer loans in colones. In early 2003, the rate was at an astonishing 17.5 percent, which made lending in colones a bit difficult for banks in Costa Rica since borrowers were mostly attracted to loans made in United States dollars. In that country, the prime rate was 4 percent for most of 2003, and it has been stuck at 3.25 percent since the Great American Recession and the global financial crisis reached a peak level in 2008. Since the turn of the century, conservative investors in Costa Rica have been taking advantage of term deposits offered by banks that market their products based on the going interest rates. In Costa Rica, state-sponsored banks such as Banco Nacional, Banco de Costa Rica (BCR) and Banco Popular (BP) have certain restrictions on the term deposit products they offer in the sense that they cannot take undue risks on the rates of return they offer. For example, a 5-year certificate of deposit (CD) at BP could pay as much as 6.48 percent at this time -notice how close it sticks to the national bank interest rate in Costa Rica. When it comes to offering term deposits and other investment products, private banks and credit unions in Costa Rica do not have the same restrictions as their state-sponsored counterparts. For this reason, you see institutions such as the Financial Co-Op of National Educators (COOPENAE) offering 1-year CD rates higher than 9 percent -much higher than the going interest rates in Costa Rica, which are expected to continue their gradual decline this year. Why isn’t everyone in Costa Rica rushing to get CDs from COOPENAE or from private banks? The average Tico investor is extremely conservative. They don’t mind getting a ficha (numbered ticket) at Banco Nacional and standing in line forever as long as they know their money is safe. Deposit accounts in state-sponsored banks in Costa Rica are insured by a system similar to the FDIC in the U.S., private banks and credit unions are not. This means that would-be depositors at COOPENAE should check the institution’s credit rating, which as of June of last year was AA by Fitch Ratings -one of the highest enjoyed by credit unions in Latin America. As in many other nations, the banking system in Costa Rica basically follows the Teutonic roots of the Rothschild family (for banks) and the teachings of Hermann Schulze-Delitzsch (for credit unions). However, state-sponsored banks in Costa Rica have certain features that make them virtually infallible (this has been previously discussed in great detail by the Costa Rica Star). These features, in turn, attract many depositors who put up with the long lines and puny CD rates. When credit unions or private banks fail in Costa Rica, they are not bailed out and depositors stand to lose all their money. Such was the case of COOPEMEX, a malfeasant credit union that was intervened by the Superintendent General of Financial Entities (Spanish acronym: SUGEF), but not before COOPENAE tried to buy the ailing assets on the cheap. 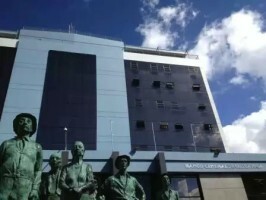 COOPENAE eventually desisted, and five days later SUGEF officials arrived at COOPEMEX with enforcement orders to shut it down at a loss to depositors. COOPENAE’s image was temporarily sullied by this incident, and a scathing 2011 Op-Ed piece published by national newspaper La Nacion called into question certain management issues; alas, since then it has grown into one of the most powerful credit unions in Latin America. Read all of our “Banking and Money” articles here.